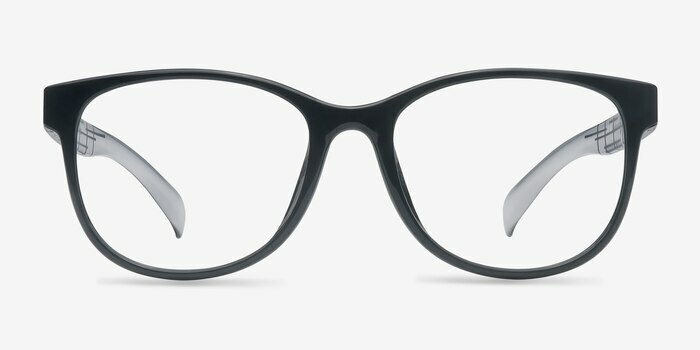 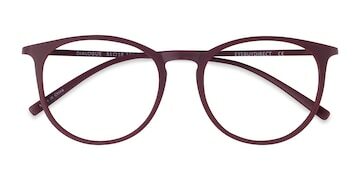 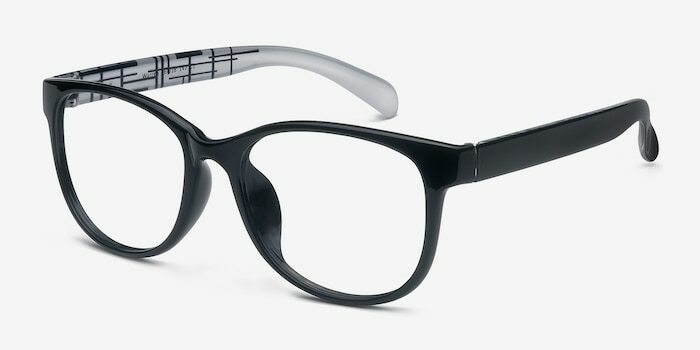 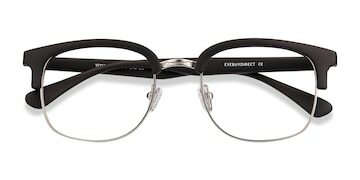 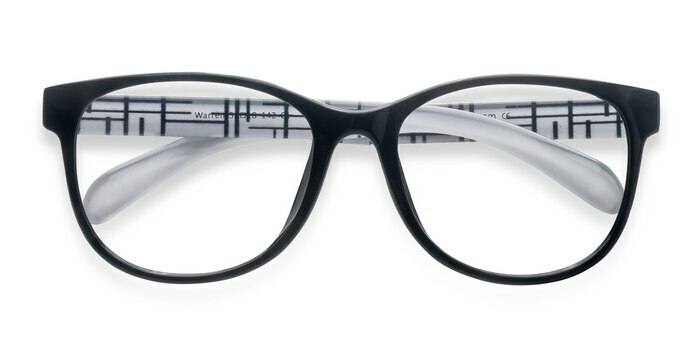 Complete your outfit with these stylishly chic black eyeglasses. 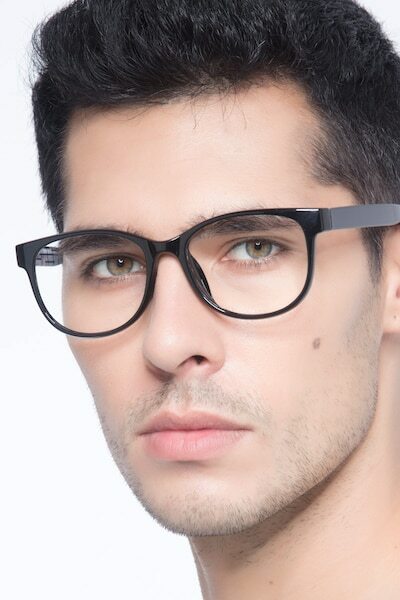 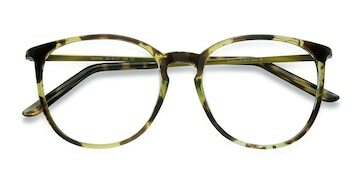 This full acetate frame features a glossy black exterior and rounded square shaped lenses. 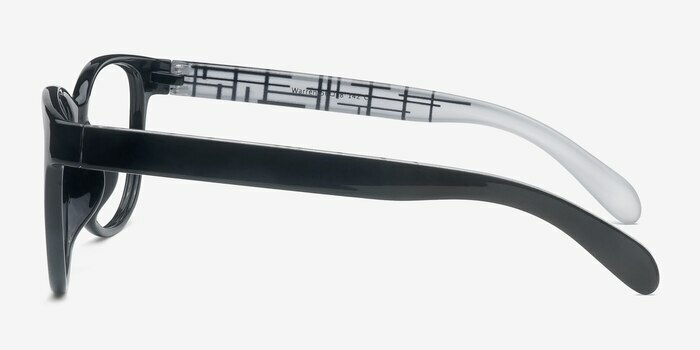 The transparent temple interiors and abstract black and white design finish this polished and professional look that is suitable for both men and women.